There's always been a back and forth of what i'd like to call 'banter' between the former New Order bassist, Peter Hook, and the other original members of the Manchester band. Now news has come that the other members of the legendary band will come together for two shows in October minus Hook though. Instead of Peter on bass, the duties are passed on to Tom Chapman of Bad Lieutenant. He will be slappin' the bass in hooks place, or strumming it more likely. The first gig will take place on October 17th at Ancienne Belgique in Brussels the following day (October 18th) will see them travel to France for a show at La Bataclan in Paris. 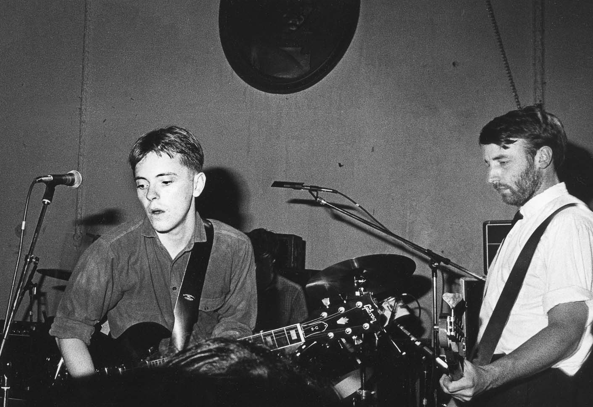 No doubt die-hard fans will make a trip to one of the shows and lucky European New Order fans look like they'll be able to see the band one last time. The shows are to help benefit film producer Michael Shamberg, who produced a number of the bands early videos.